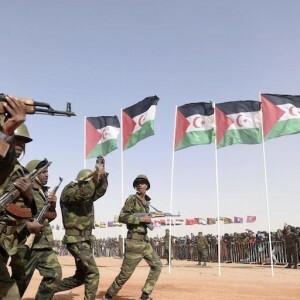 The African Union (AU) will be limiting its peace efforts in the Western Sahara in order to support the United Nations’ (UN) process in the region. The Western Sahara is a disputed area claimed by both Morocco and the Polisario Front, the representatives of the indigenous Sahrawi people. The UN oversaw a truce between the two sides in the early 1990s but the issue has never been resolved and tensions flare up periodically in the border regions. The AU has also asserted its role in resolving the crisis since the dispute erupted in the 1970s. The AU’s new decision to limit its efforts means that unlike before, its Peace and Security Council (PSC) won’t discuss the Western Sahara situation among ambassadors in Addis Ababa where security issues are usually considered. The AU will now only support the UN peace process through a troika of heads of state, together with the AU Commission (AUC) chairperson. While the troika will report to the AU Assembly and possibly the PSC at the level of heads of state, no major AU decision on Western Sahara could be expected going forward. This is the first time the AU has taken a formal decision to limit PSC involvement in an African crisis. The move is a big win for Morocco, which believes the AU-led efforts are biased. The danger is that it could set a precedent for other AU member states that disapprove of AU interventions. Morocco’s return to the AU and subsequent election to the PSC in January brought a new dimension to the AU’s approach to the Western Sahara crisis. In the past, the AU largely described this as a ‘decolonisation’ issue and accepted the Sahrawi Arab Democratic Republic (SADR) as a member. Morocco sees this as proof that the AU is not impartial – it has often objected to the PSC’s call for the territory’s independence. The AU decision to fully support the UN process in order to resolve tensions between member states could be seen as favouring Morocco’s position. The AU Assembly appealed to the parties in the conflict ‘to urgently resume negotiations without pre-conditions and in good faith under the auspices of the Secretary-General of the UN, whose Security Council is seized of the matter’. Some view the decision on Western Sahara as a compromise to prevent the relationship between Morocco’s allies and staunch supporters of Western Sahara – for example Algeria, South Africa, Zimbabwe and Angola – from deteriorating. Keeping the discussions out of the PSC could be a way to avoid confrontation. The latest move is a reversal of the AU’s January agreement that called for ‘joint AU and UN facilitated talks for a free and fair referendum for the people of Western Sahara’. Under the new decision, a troika – made up of the outgoing, current and incoming AU chairpersons and the AUC chairperson – will support the UN process. The troika will report to the AU Assembly and, if need be, the PSC – but only at a heads of state level. Limiting the PSC’s involvement in a crisis in Africa is new. Since the council’s launch in 2004, it has seen itself as a major player in every security issue on the continent. Conflict situations are discussed by the 15-member PSC at all levels, irrespective of whether peace processes are led by other intergovernmental organisations or the UN. The council has engaged on several issues, including the situations in Libya, the Democratic Republic of the Congo and South Sudan, where the UN and regional actors play dominant roles. The AU’s decision to limit the PSC’s role in Western Sahara to heads of state could negatively impact the council’s work. PSC summits of heads of state take place only once or twice a year and usually discuss a burning crisis. As a result, the Western Sahara may not make it to the PSC summits and, even if it does, there may not be binding decisions given that the AU is meant to support the UN process. This could have several consequences. Member states that disagree with the PSC’s involvement in future could insist on a UN process with the support of heads of state. This not only affects the way the PSC works but could undermine its relevance in tackling certain threats. Also, the troika of former, current and future AU chairs is not included in the AU Constitutive Act, and has no real powers outside the AU Assembly. Similar high-level committees were set up in the past to deal with conflicts in Libya, Burundi and South Sudan, but were not effective. Going forward, the AUC chairperson has a responsibility to include the issue of Western Sahara on the agenda of the AU Assembly and PSC summits. A roadmap for the AU troika must be developed to ensure it meets regularly and urges the UN to accelerate efforts to resolve the crisis. This article was first published by the ISS PSC Report.